Characterizing underground conditions and locating the presence of any anomaly is a challenging endeavor. Non-invasive geophysical measurement techniques have been successfully developed and used in the recent past to interpret the nature of the subsurface without disturbing it. 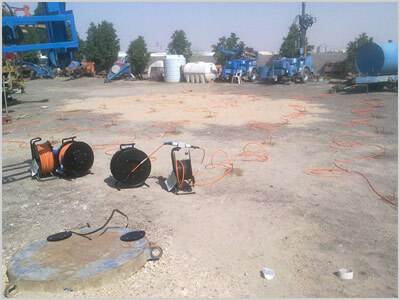 Electrical Resistivity Tomography (ERT) for subsurface imaging is one of the promising geophysical technologies for characterizing underground conditions and locating the presence of any anomaly. It provides this by determining the electrical resistivity distribution as a function of depth and distance. Resistivity is an intrinsic property of a material and can be used as a diagnostic tool to predict changes, variations or contrasts in the distribution of subsurface media.